For the first time Southern California will host an all new convention that not only celebrates the Horror genre, but an event that celebrates the Halloween Haunters that help scare up big crowds each and every haunt season. With dozens of professional and mega-theme park haunted events ranging to Halloween Horror Nights, and the event that started it all Knott’s Scary Farm. It’s no question that Southern California lacked an event where the creators, actors, and artists that help bring these events to life could have a place where they can show off their talents to the world. We spoke to Rick founder of Theme Park Adventure and co-creator of the event who had this to say. Theme Park Adventure is both excited and honored to be part of the core team that is creating ScareLA. Southern California is home to some of the best haunted attractions in the region, and we’re thrilled to be a part of an event that brings that community and its fans together for a weekend of presentations, panel discussions and networking. 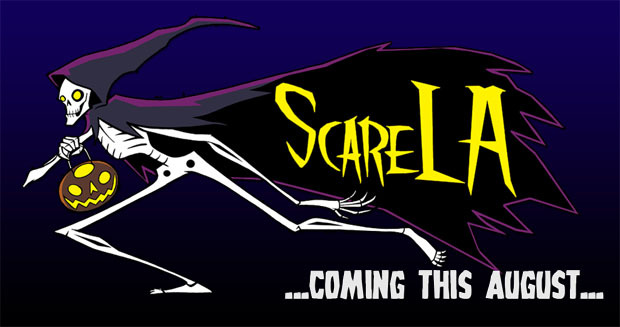 We love Halloween, so being part of ScareLA is an exciting venture for us to be an active part of. -Rick West, Founder Theme Park Adventure. Look forward to this event in August on the 10-11th, and check back for the latest details or you can sign up for a special news letter about The Los Angeles Halloween Convention at www.scarela.com. The Best Halloween Events in America! As voted by you!